MARCH 8: Speaker of the House Paul Ryan, R-Wis., and House Majority Leader Kevin McCarthy, R-Calif., conduct a news conference at the RNC where they discussed the House Republican's new healthcare plan to repeal and replace the Affordable Care Act, March 8, 2017. 1. Retroactively repeals mandatory health insurance: It would repeal the ACA's tax penalty on Americans who have not purchased health insurance as of 2016. This could shake up insurers' plans for setting rates in 2018. 2. Gives Medicaid a facelift: The program would convert to a system of capped per-capita federal grants to the states starting in 2020. Watch out, hospitals—this could affect uncompensated care and payment levels. 3. Phases out Medicaid state expansion: States would lose enhanced federal funding for new Medicaid expansion enrollees at the end of 2019. 4. Establishes new premium tax credits: The age-based, refundable credits would help people buy insurance. The credits start phasing out for individuals with incomes of $75,000 and families at an income level of $150,000. Credits would adjust annually by the consumer inflation rate plus 1%. 5. Repeals most ACA taxes in 2018: The bill would eliminate most taxes that finance the law's subsidies, Medicaid expansion and Medicare benefit enhancements. 6. Preserves, yet delays the Cadillac tax: The ACA's so-called Cadillac tax on high-value plans will stay, but it's delayed until 2025. 7. Nixes minimum essential benefits in Medicaid managed care: The bill eliminates the requirement for Medicaid managed-care plans to cover minimum essential benefits by the end of 2019. The rules stay in place for private insurance. 8. Encourages high-risk pool funding: The bill offers states $100 billion over nine years to establish high-risk pools or other solutions for stabilizing the individual insurance market. 9. Establishes a continuous coverage penalty: Insurers can charge a one-year, 30% premium penalty to individuals who let their insurance coverage lapse and want to enroll in a plan. 10. Increases costs for older insurance customers: Insurers can charge older customers five times higher premiums than they charge younger customers—this rate is raised from the ACA's 3-to-1 age ratio. 11. Revives disproportionate-share payments: The bill would repeal the ACA's proposed cuts to Medicaid disproportionate-share payments. The reductions have not gone into effect. 12. Cuts low-income enrollee subsidies: The ACA's subsidy to reduce low-income enrollees' cost-sharing in private health plans would disappear, effective at the end of 2019. 13. Reduces support to organizations performing abortions: The bill would prohibit Medicaid funding for Planned Parenthood and other organizations that perform abortions. It also prohibits using tax credits to purchase a health plan that would cover abortions. 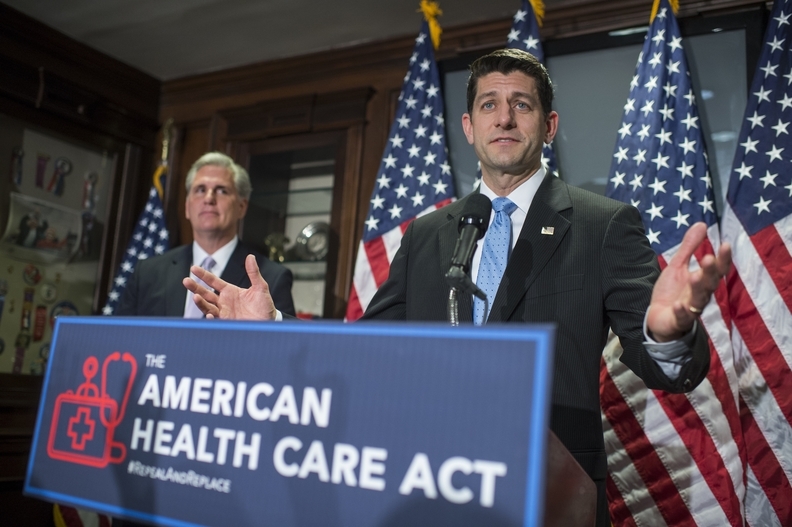 For more information on the American Health Care Act bill, check out our latest coverage.